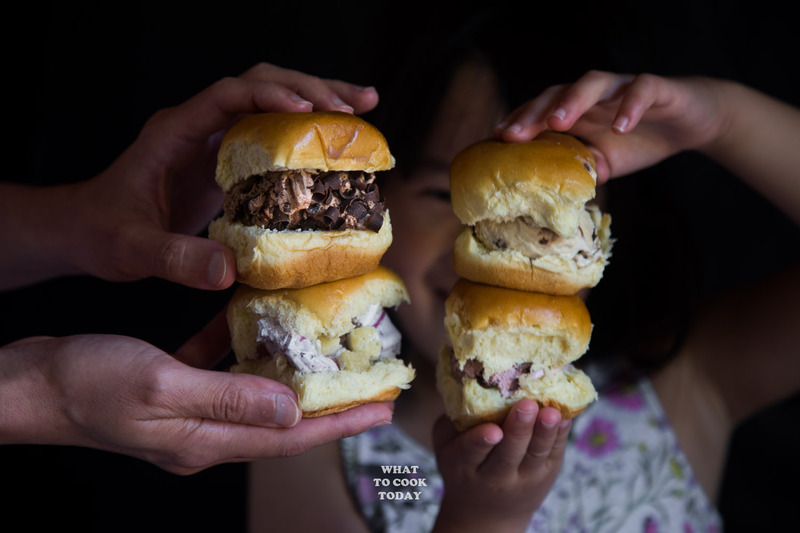 collaboration Easy Favorite Recipes NORTH AMERICA Spring and Summer U.S.A.
Can you imagine how happy my kids were when we walked out from the store with me bringing home 4 tubs of Kemps ice cream the other day? They certainly think I was the best mother on earth! Like I’ve said (probably hundreds of time), our fridge is always stocked with ice cream regardless of the season. Here in Minnesota, we are proud of our local Kemps brand. Kemps ice creams are our family’s favorite. 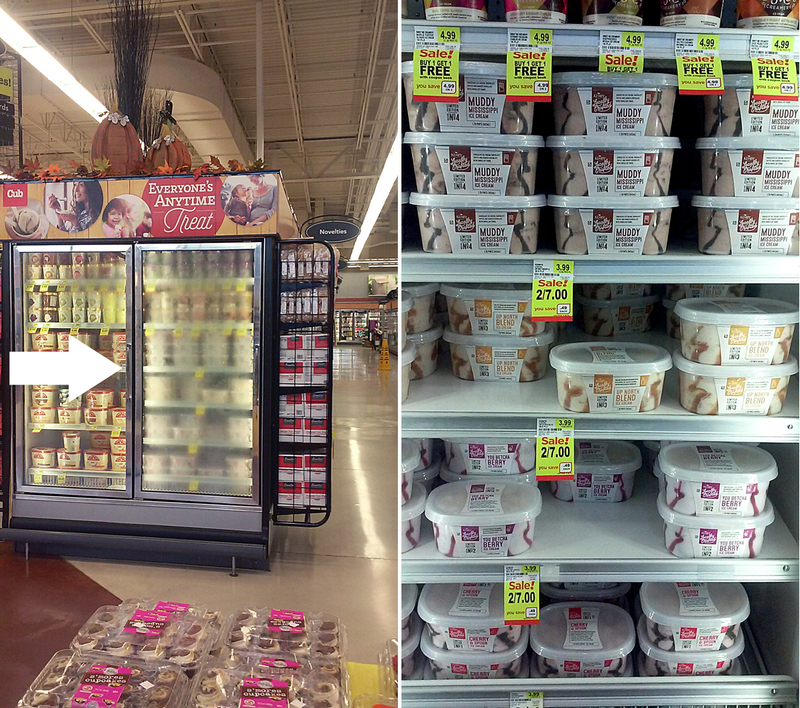 It sure is a trusted name in dairy with quality milk, ice cream, frozen yogurt, cottage cheese, and more. A few months ago, Kemps carried out Locally Crafted Sweepstakes where they would select the best flavors from that Sweepstakes and produce for purchase later this year. 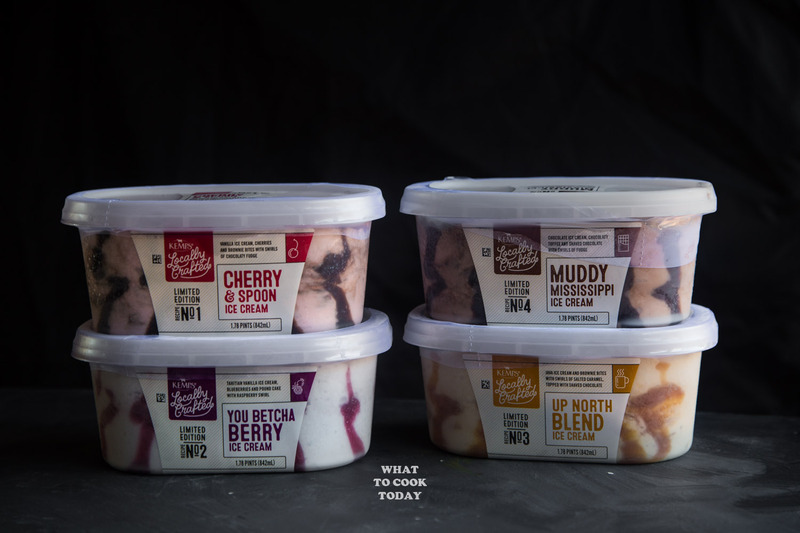 Well, you guys, these were the four winning flavors selected from that Sweepstakes: Cherry & Spoon, You Betcha Berry, Up North Blend, and Muddy Mississippi. You can read more about each flavor at the Sweepstakes below too! WOWWW!!!! 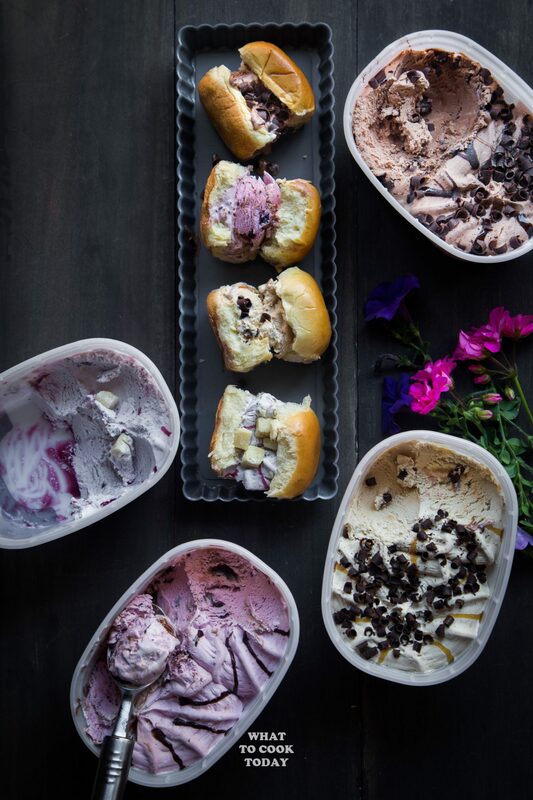 was what I heard when I first opened up the lids of these ice cream to discover such beautiful presentations! There’s always a good reason for some ice cream in our house! Birthdays, warm days, picnics, pot lucks, hanging out with friends..you name it! If you ask my kids to choose between ice cream or cakes, they would choose ice cream in a heartbeat. In fact, my daughter said that she would like lots and lots of pink ice cream for her 7th birthday in few months! There you go! Early reservation. 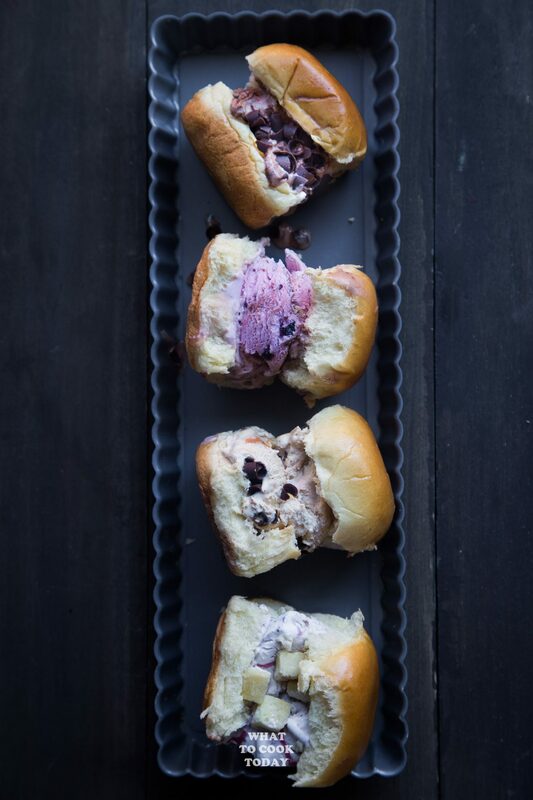 Instead of serving the ice cream in cups or cones, I thought about the time when I was a kid and we had ice cream sandwiched in between soft buns or sliders. I hardly ever chose cones because it was just so good with the ice cream in between those soft buns. 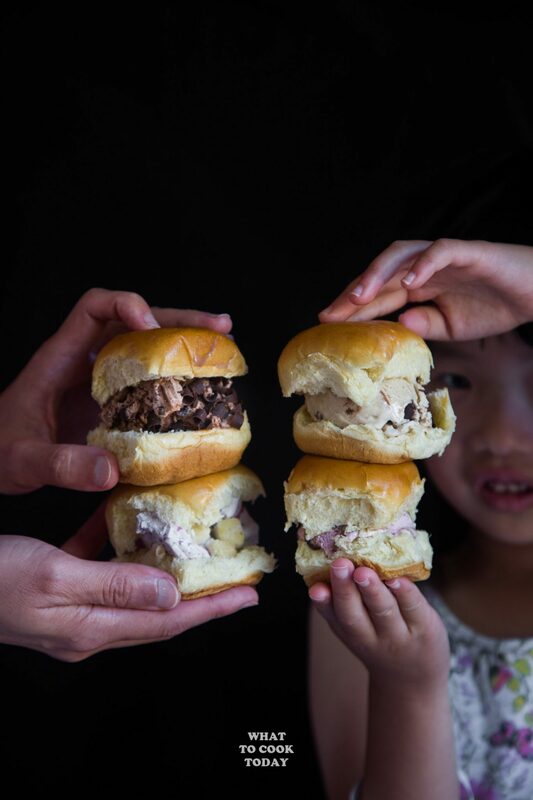 My daughter who is more selective when it comes to food was a bit skeptical when I asked her to try the ice cream brioche sliders! But there’s no turning back after that first bite. “Mommy, this is like the best ever!I love it with these soft buns” She said. 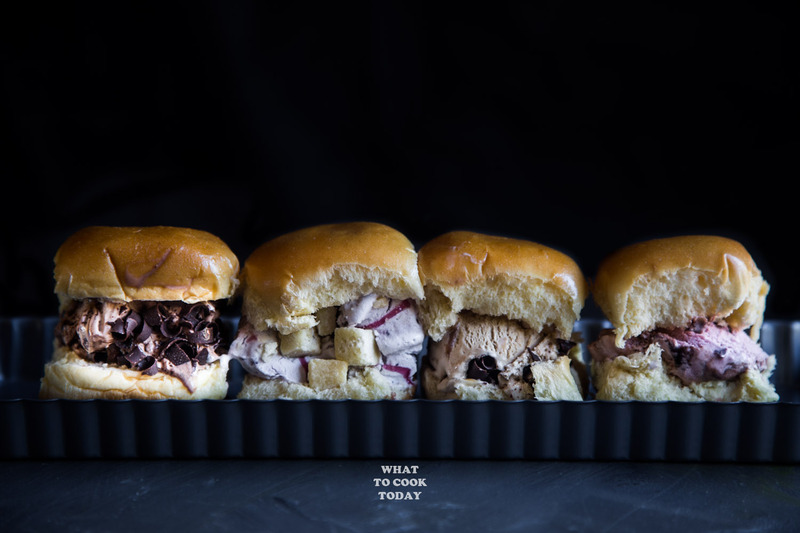 Biting into chunks of pound cakes, brownies, shaved chocolate, cherries, swirls of fudge, geez…we are totally hooked! When I asked the kids to choose their favorites, they didn’t make my job easier. They said “All of them” LOL! I have to agree though. I love all four of them. Each is unique and love the creative names too. 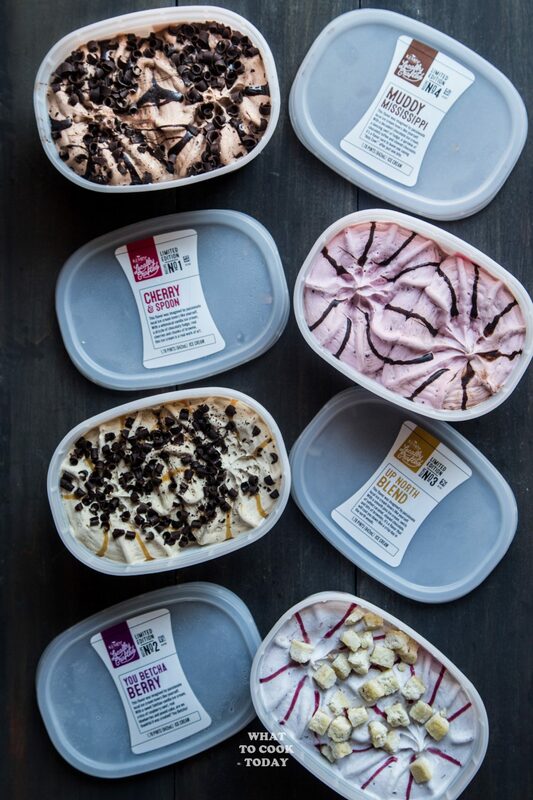 Guys, it’s up to you to try each new flavor and vote for your favorite, plus enter for a chance to win a year’s supply of Kemps Ice Cream! I got all 4 flavors from Cub Foods. They are located at the endcap of the ice cream aisle. There is a 2 for $7.00 deal going on right now!Every time you purchase any of the Kemps products, money goes back to the family farmers to continue to care for their cattle. How do you enjoy your ice cream?